How busy are you? Really. To be honest, I often wonder myself. So I thought I’d try out Yast for a week and keep track of what I do. I used to be a producer/project manager so pride myself on being organised, but is this vision of myself actually the reality? For those who don’t know it, Yast bills itself as the ‘world’s easiest time tracker’. If you’ve ever worked in advertising agencies, you’ll know what a pain in the buttocks doing timesheets is, and often they’re filled in way after the time spent, so end up being a complete work of fiction. Yast is an online tool, available on PC, Mac and mobile (iPhone® and Android), that allows you to set up projects and then set a little timer off. As you move from one task to another it auto stops and starts. You can create reports and do all sorts of clever things. How did I manage my time? I tend to jump from task to task. Often what I think has taken me 30 mins has only taken me 10. Often what I think has taken me 10 mins has actually taken me 30. I’m more productive and write better copy early in the day. Evenings are better for admin. jobs like invoicing. I have tendency to ‘drop everything’ when I get an email rather than finishing the task I was working on. I spend far too much time on social networks, given the actual financial return they’ve generated thus far. All the above may sound pretty obvious stuff but to me it was a bit of an epiphany. What project management lessons have I learned? 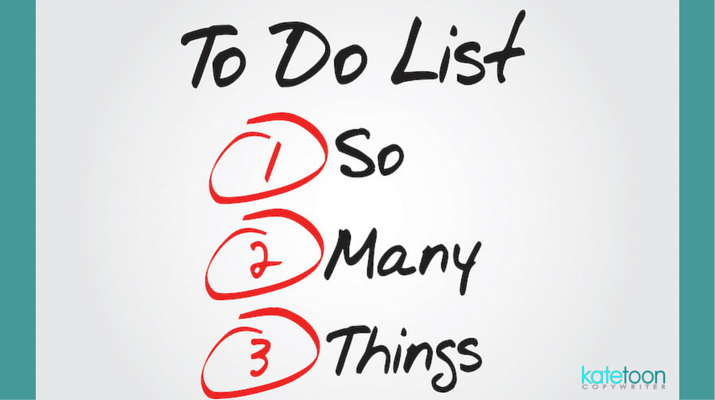 Make a ‘to do’ list every day – Perhaps using something like Teuxdeux. I found making this at the end of the working day was best. Then the next morning I looked at it and reprioritised tasks. Do finance bits once a week – Try to save up all invoicing, book-keeping and so on for one session a week. It’s tempting to raise an invoice as soon as you finish the job, but, obviously, it’s sometimes quicker to do all your financial bits and bobs in one go. Make money first – Aim for the first 3 things you do each day to be money-earning activities. I often find myself doing the easy stuff first thing, so I can tick off things on my ‘to do’ list. But then you get a dreadful sense of foreboding about the REAL work that’s looming. Get the meaty tasks done early and you’ll feel better. Turn off your phone – Try to set aside one part of the day for phone calls. Obviously clients will ring at all times of the day, but you don’t need to always respond immediately, especially if you’re up to your armpits in writing. This break in concentration just uses up more time. Cut down on emails – Only check your email once an hour – I’d love to say twice a day but I don’t think I could manage this! Cut back on social media – Social media is important, but not that important. Yes it’s good to keep in the loop on Facebook, Twitter and the rest, but think about how much revenue these activities actually generate. If it’s zero then this is a hobby, not a business practice. Bear that in mind when planning your day. Blog less – A blog once a week is awesome, twice a month is fine. Once a month is okay too. Unless you’re Seth Godin, no one is waiting, moist with anticipation, for your next utterance, so focus on ‘real work’ and blog when you have time. Learn to say no – Friends and even random acquaintances will always ask for favours: “Will you build me a 28-page website? I’ve got $26; is that cool?” Remember, you are essentially giving away money by doing work free of charge. If you have the time, and really like them, then fine! 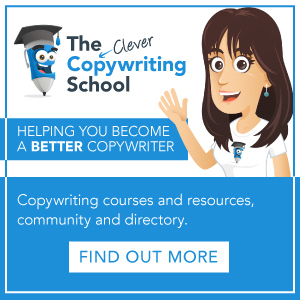 Keep the plates spinning – If you’re aware that you have a gap coming up later in the week, email your client and give them a gentle nudge to get that brief back more quickly or get that copy review in two days rather than one. I find my clients appreciate it. As long as I don’t badger them. Have some down time – Really, when you work for yourself, you could work 24 hours a day and it wouldn’t be enough. Not working and ‘faffing’ is important too, to keep you semi-sane. So turn off the laptop and go for a walk, a coffee and a nice bun! Although I loved Yast I don’t think I’ll continue to use it as, even though it’s easy to use, it feels like yet another thing on the ‘to do’ list. But I recommend you give it a pop for a week or two and see just how busy you really are. * Okay maybe not the last one but I can dream.